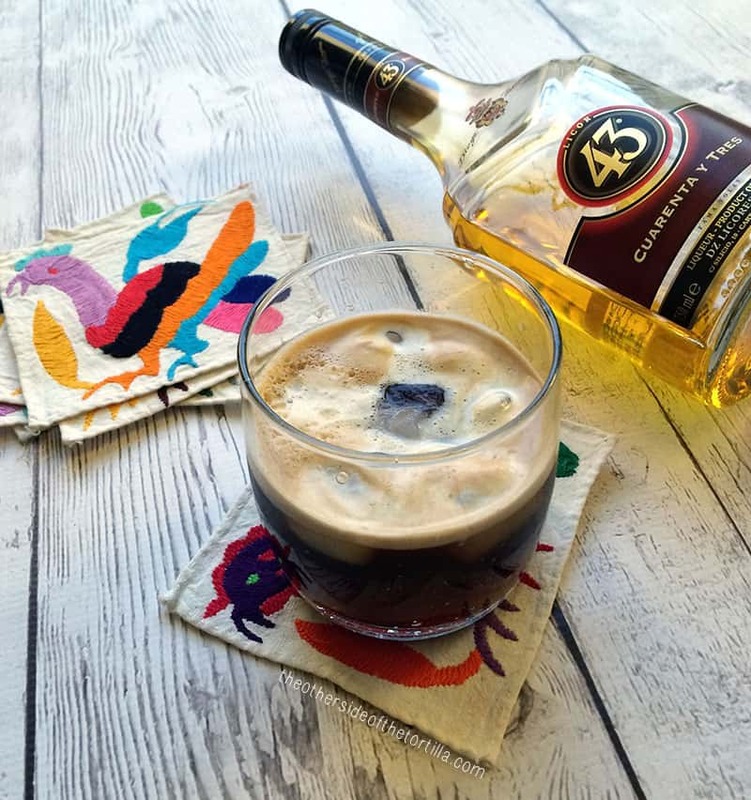 A classic Spanish cocktail popular in Mexico, the Carajillo is made with espresso and Licor 43. I’ve often enjoyed this cocktail while in Mexico, whether it be at a fancy restaurant in Mexico City, a late-night coffee bar in Acapulco or at vacation resorts spanning the country from Los Cabos to Playa del Carmen. This drink is also similar to Italy’s caffè corretto (meaning “corrected coffee”) which typically contains grappa, sambuca or brandy and espresso. The carajillo can be served hot or cold, over ice, as pictured here. The bright yellow liquor’s tasting notes include cinnamon, anise, orange blossom and vanilla, and is called Licor 43 because it’s said to have 43 secret ingredients. It has an almost custard-like taste. When served hot, this drink is sometimes served in a glass with a sugared rim. To float the espresso for a fancier layered cocktail look, first pour the Licor 43 into a glass, then pour the espresso over the back of a spoon and serve with a cocktail stirrer. If you plan to drink this cocktail late in the evening, it can also be made with decaffeinated espresso or a strongly brewed dark roast decaffeinated coffee. A classic Spanish cocktail popular in Mexico, the carajillo is made with espresso and Licor 43 and is the perfect afternoon or after-dinner cocktail that can be enjoyed hot or cold. In an Old Fashioned glass, pour 1 ½ to 2 ounces of Licor 43 over ice. Slowly pour freshly brewed espresso over the top. To float the espresso for a layered look, pour gently over the back of a spoon and serve with a cocktail stirrer. This espresso cocktail is perfect for celebrating National Coffee Day and International Coffee Day.